Description: Once a route is planned, the route table can obscure a large portion of the screen/map if charge station labels are very long, making it difficult to review the proposed route. Link to Plan: https://abetterrouteplanner.com/?plan_uuid=e8929af0-1c4c-497b-9f25-251ca8e3c84f It would be nice to be able to resize the table on the fly or at least set a limit on the column width. Welcome and congrats on your purchase. Sounds like a fantastic ride trip you have coming up. Enjoy. Is it possibly a charger that's planned but has not yet been installed. I say that because I notice that some charger apps get that wrong once in a while. Where are you from? Langley (near Vancouver) British Columbia, Canada What car do you drive? 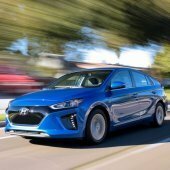 2018 IONIQ Electric SE (with CCP) (Since 16 Feb 2018) What's the longest trip you've taken in your EV? Just under 300 km Absolutely love my IONIQ. It drives like a dream and is exactly what I was looking for (and need) at the moment. Still can't believe that in my first year I drove 35,000 km and it only cost me $650 "fuel" and service.